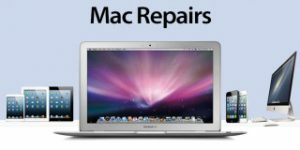 Mac Repairs Chesterfield: Covering all areas in Mac related problems. Tech CPR LTD provides high quality Mac repairs Chesterfield and surrounding areas, experts in repair and support solutions for the Apple Macintosh community. We offer a premier repair service in Chesterfield that covers all aspects of Macbook, Macbook Pro, Macbook Air, iMac, Mac Pro, and Mac Mini. We are able to quickly diagnose and repair you Macintosh, getting most customers up and running again within 2 to 3 working days of your visit. We understand the urgency of a swift and reliable solution to your Macintosh wows. If the unthinkable should happen many would rather not wait around for hours or days for an appointment at the Apple Genius Bar in Meadowhall only to be told that the repair could take up to a week for a possible return. We like to think of ourselves as a Health Company for your Mac! From the moment you call us you are put directly into contact with a local Technician who can answer any question you may have in regards to your Apple product. Our team is available 6 days a week, so why not contact us now and put us to the test for a high quality Mac repairs Chesterfield. We have provided a first class, personal, professional and cost effective repair and support service in Chesterfield since 2011. We are number one for Mac repair in Chesterfield. Our team is extremely knowledgeable and able to fix a wide range of Macintosh problems. Put us to the test and contact us today.